Just an email to say thanks for a great day yesterday. 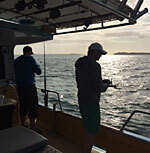 Was a brilliant day with a brilliant skipper both myself and Nick had a great time. Thanks for making it a pleasure! Cheers. 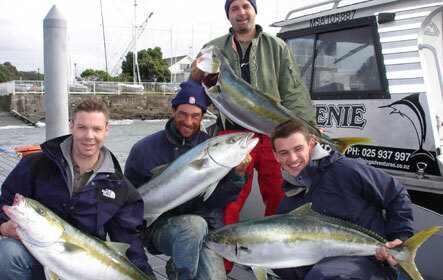 We would like to say a big thank you to Eugen for an absolutely great fishing day last Friday! 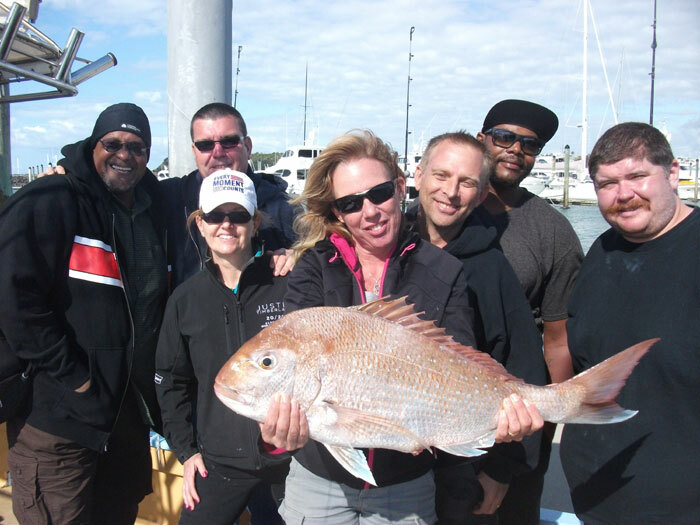 The guys are still talking about it, and everyone had a great time, most importantly everyone went home with a fish. Just want to thank you for organising the boat for our branch for Friday's event - they have been in touch this morning and can't praise the skipper of the boat high enough - they had a factiastic day. Please let him know how happy they all were too. Will be in touch for next year's event. Shai and I just finished our two fresh fillets of baked snapper!!! Oh mate, what more could you want? 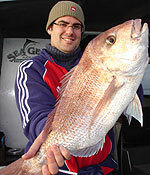 Out in the Sea Genie Sunday morning, 34 snapper in less than four hours (not counting the legal sized throw backs!!). Back home with time to clean them up for dinner. Perfect!!! Just wanted to thank you for taking us out for a fantastic trip. I can assure you that you will see us again soon (whether you like it or not). 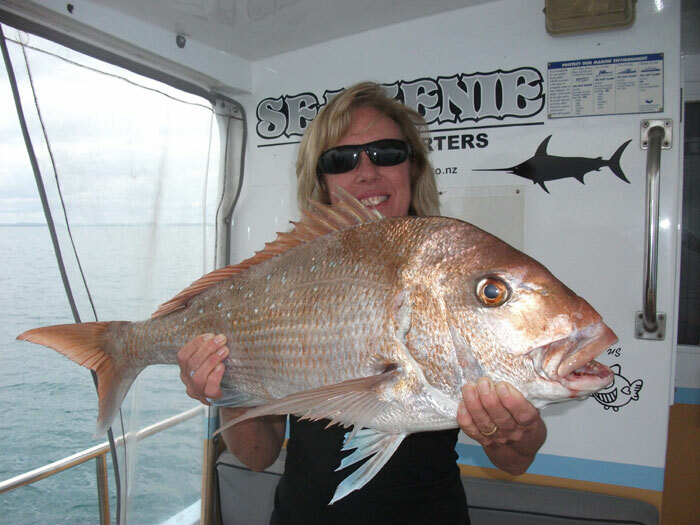 We will also be sure to recommend your services to anyone who wants a professional, knowledgeable and above all skilled skipper. Just want to say what a pleasure it was coming out on your boat yesterday, even though we picked the first wet day in 31 days. 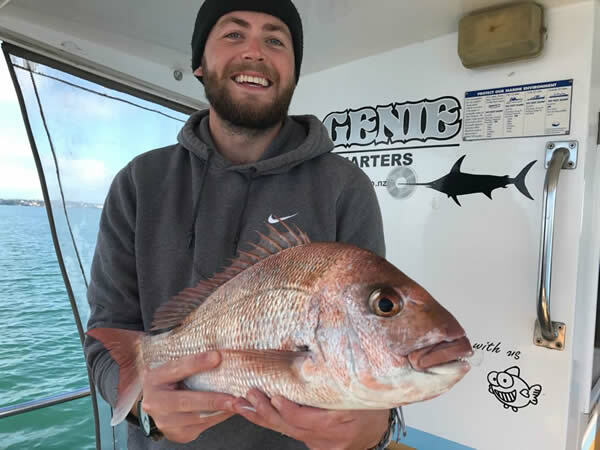 Everyone was really impressed with the way you were able to put us on to the fish and your great attitude which made for a very pleasant afternoon's fishing. We will certainly be using your services again and promoting to other people in the Group to use your services if they are looking for a team event. Thanks again for looking after us so well (especially the bbq). 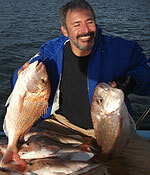 When I was in the planning stages of publishing our range of Spot X charts and maps I realized that I would need to approach the top charter boat skipper in each area. 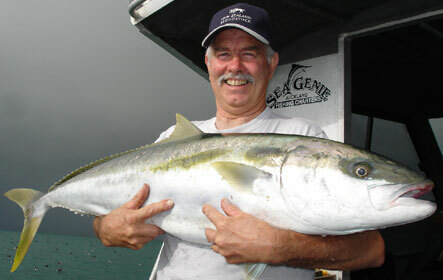 With eighteen years at the helm, of the magazine New Zealand Fishing News, I had a good idea, who the top skippers were. 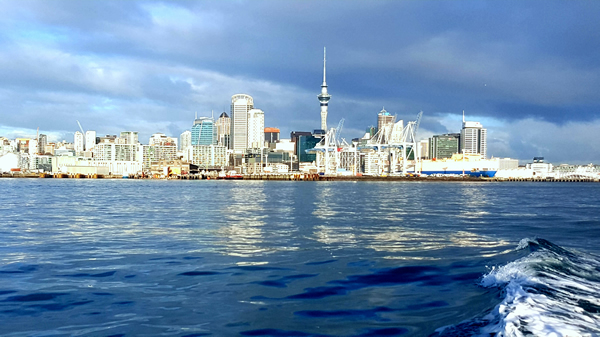 For the Hauraki Gulf charts I approached Eugen de Bruyn the owner and skipper of the charter boat "Sea Genie" a well known and successful charter boat that has been operating out of Auckland for over 20 years. 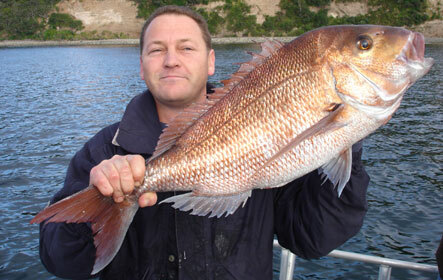 Eugen has fished both the east and west coast of Auckland for snapper, kingfish and marlin with great success. 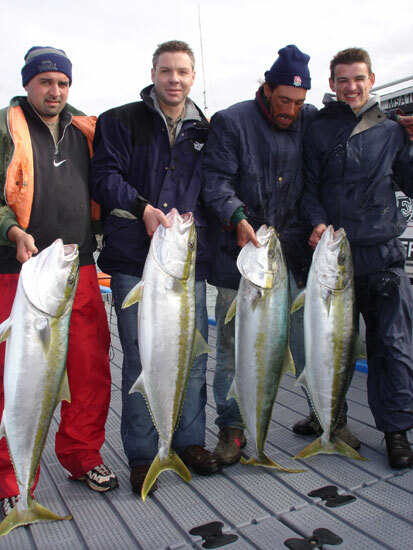 Without skippers like Eugen, who were happy to share the knowledge that they have accumulated over a lifetime at sea, it would not have been possible to produce our range of fishing spot charts and books. A note to say a huge thank you for the professional manner in which you looked after Hector and our crew on Saturday and Sunday. It was a total pleasure to be on board with you. Hector was really thrilled with the fish that he had. I know that he will be back for more. 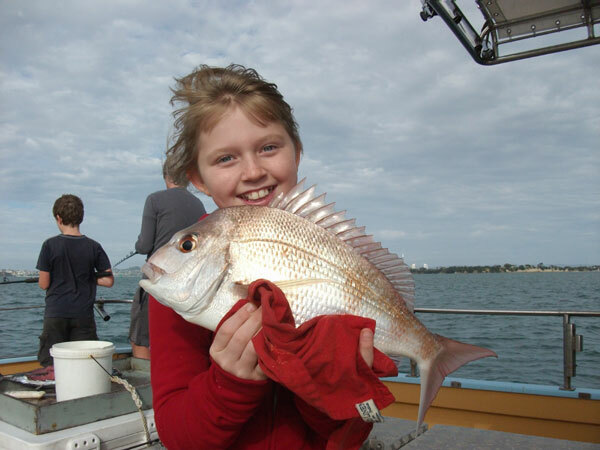 Snapper fishing, kingi fishing - I look forward to arranging another trip later in the year. 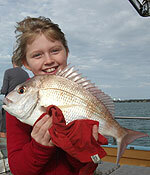 My Daughter (Georgie) and I really enjoyed this afternoon's fishing. An excellent day, Georgie has not stopped bragging to her friends and family on the phone all evening - that's what it's all about eh! Not bad for a newby! I told you she was lucky. I am sure we will book with you again soon. 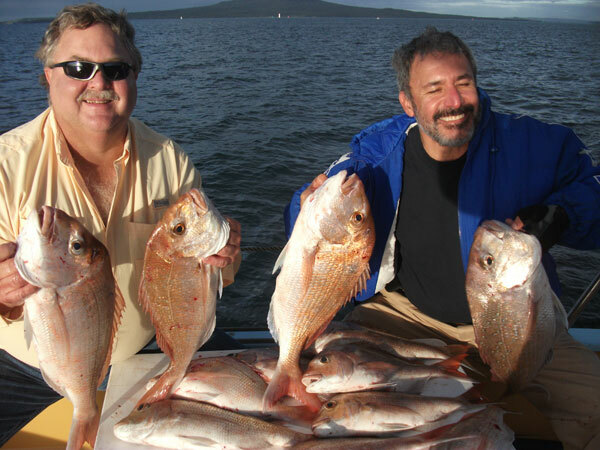 All Black legend Mils Muliaina ( far right ) and friends enjoyed a "Sea Genie" Fishing Charter in Auckland and caught a respectable bag of snapper. Just a line to say a big thank you for organising ourt charter and taking care of us last night. 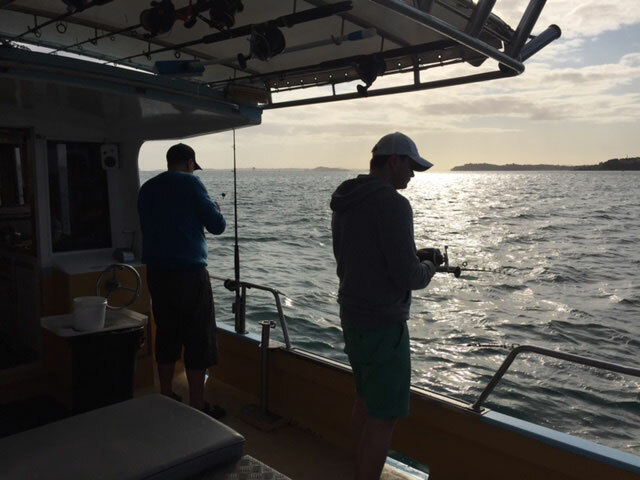 Your hospitality and customer service skills are matched only by your fishing skills and knowledge. 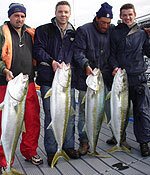 In spite of us all being complete land lubbers and first time in the ocean, you ensured that we were all happy and returned with a good catch home. Thanks once again and we will definitely be back. Thanks so much for everything! It was a great time! 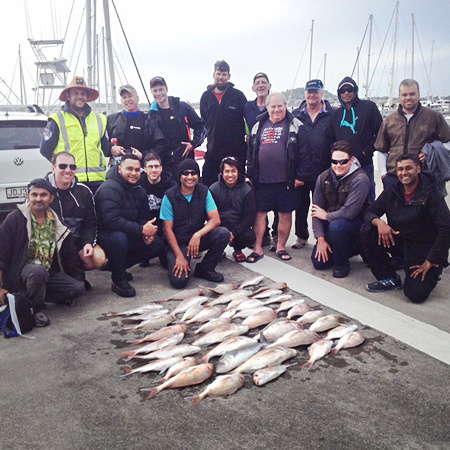 Tracy Van Egmond (centre) and other members of the Justin Timberlake road crew had a great day out fishing on their day off between shows in Auckland during their world tour October 2014. I just wanted to take a minute to let you know what a pleasure it was to meet your family and thank you both again for such an amazing day of fishing! Your quick response to our inquiries, flexibility in working with our schedule, promptness, and attention to detail made for painless planning. Since we were far from home and traveling light, It was really nice just being able to show up and have everything handled. Our kind of trip!!! and lunch was impressive!! Vicki, the salad was unexpected and very much appreciated!... 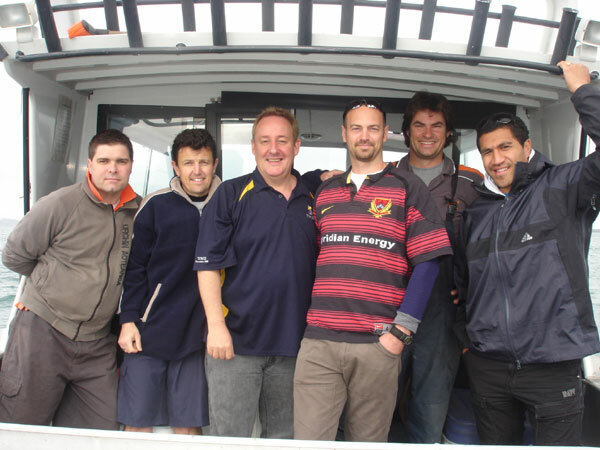 and Eugen, it was really great being able to hang out on the boat and fish, while you worked your magic on the grill! It was super yummy and there was something to suit everyone's tastes! It definitely added to the outdoor adventure! Eugen, thank you for knowing where to find the fish!!!! Your knowledge of the area is apparent and really paid off!! 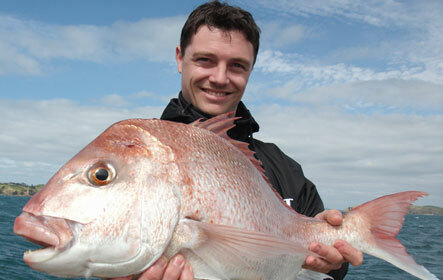 What an experience it was to land such a beautiful snapper!!! I can't find the words to express what a great feeling that was!!! My feet still haven't touched the ground!! and all of the fish were delicious!!! Our catering chef did it up right and I truly enjoyed watching our entire crew share the spoils of the day!!! 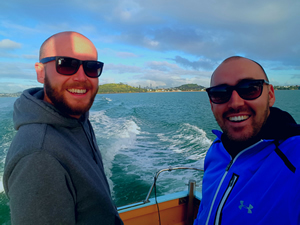 We'll hit you up if we ever find ourselves in Auckland again!! and THANK YOU again for such an amazing adventure!!! 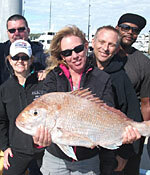 Tracy V. and your new friends from "JT's crew"
Thanks so much for a fantastic trip last weekend! It was a great morning out and we all really enjoyed our trip. You made it such an easy process too - Thank you! You guys are fantastic and provide a completely different level of service and experience to other charters we have used. We were dubious after a not so successful trip last year but this was a completely different experience. So pleased! 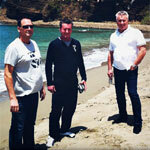 Hello Vicki, Eugen and Scott. I am so happy that everyone had a grand time. I can't wait to see you all tomorrow. I am In the studio hoping it won't be a real late night. We were on your "Breakfast Morning Show" this morning!! It has truly been a long day. 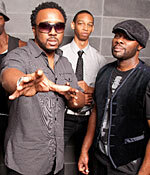 Hey There Dwight, it was a pleasure and honour to entertain you guys from Naturally 7 on the boat over the last two days and also thanks for arranging Jake from the Michael Buble show to join us. Maybe Michael can make it next time! 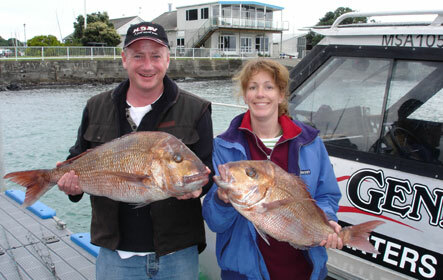 Thanks also for mentioning our service during the concert and showing your appreciation of our great NZ fishing and scenery. 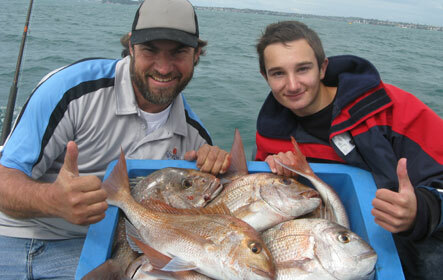 Looking forward to our next fishing trip with you downunder. 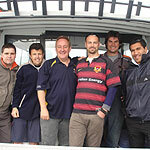 Just a quick note, to say thanks for the afternoon out on the water on Saturday, everyone thoroughly enjoyed it. No doubt I will be wanting to go out again at some stage. 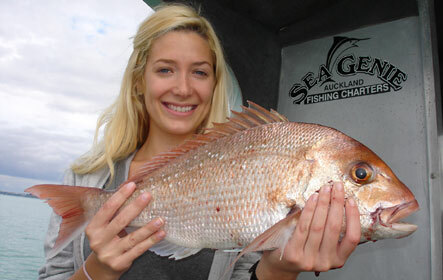 Andrea and I had an amazing fishing trip with Eugen! It truly was an exceptional day of fishing, and the scenery was incredible as well. We successfully caught and released a huge 100 kg striped marlin. 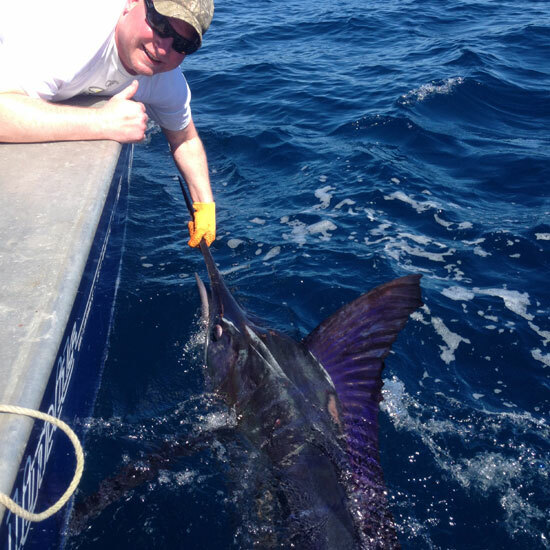 It was a beautiful and majestic marlin. 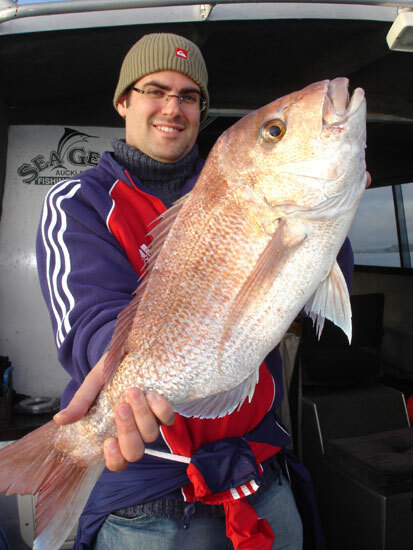 Our deckhand Liam was also very, very helpful and professional. All in all, a trip of a lifetime. Thanks again. 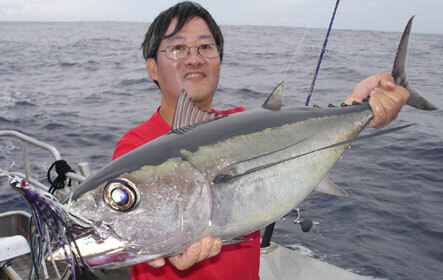 Thanks for the great fishing adventure yesterday. The Rosenbergs had a great time and were raving about the trip all night. 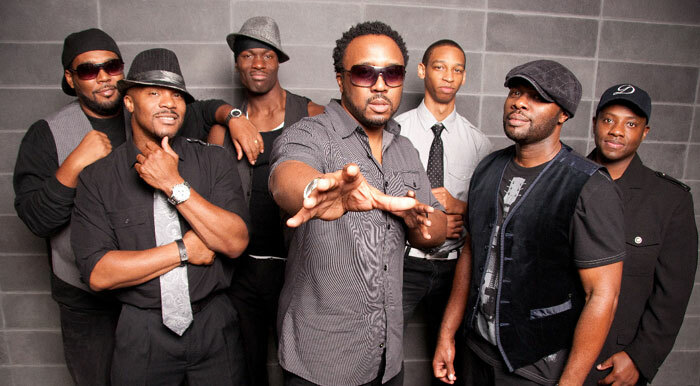 Here is a link to their You Tube page www.youtube.com. 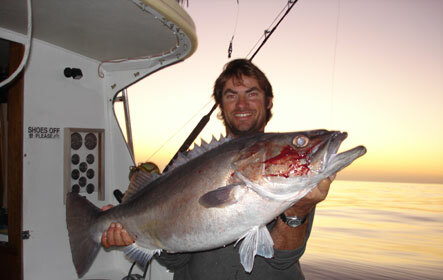 Contact Eugen now to book your next fishing trip.